INR Vs USD: Increased selling of the US dollar even as the RBI hiked repo rate by 25 basis points boosted the rupee, forex dealers said. INR Vs USD rate: The dollar, however, strengthened against some currencies overseas. 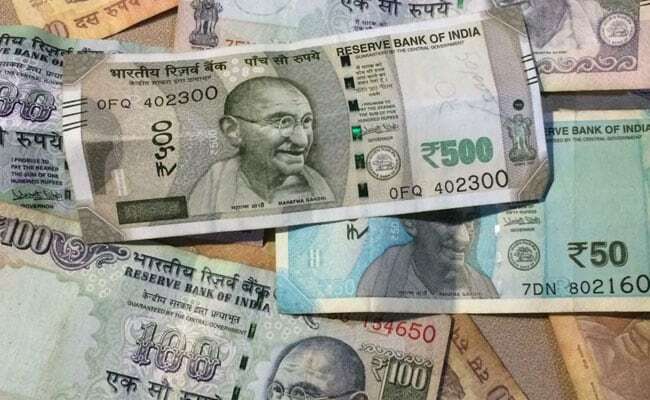 MUMBAI: Maintaining its uptrend for the second straight day, the rupee strengthened by 17 paise to a fresh one-month high of 68.26 against the US dollar today after the Reserve Bank of India (RBI) maintained its growth outlook for the economy. The RBI projected a gross domestic product (GDP) expansion rate of 7.4 per cent in 2018-19 on the back of robust macroeconomic environment. Increased selling of the greenback by exporters and banks even as the RBI hiked repo rate by 25 basis points on Wednesday too boosted the rupee, forex dealers said. The dollar, however, strengthened against some currencies overseas after the US Federal Reserve kept interest rates unchanged, capping the domestic unit's gains, they added. On Wednesday, the rupee had gained 11 paise against the US currency to end at a fresh two-week high of 68.43. Meanwhile, the benchmark BSE Sensex was trading lower by 148.54 points, or 0.39 per cent, at 37,521.62 in opening trade.